I have always been a fan of abstract strategy games. I’ve been told I’m still an above average chess player. I would love to dig deeper into Shoji, but I haven’t played in years. Go fascinates me, but it’s been more years than Shoji. So Onitama is straight up my alley. I reviewed the full version of Onitama a few days ago, and you can read it all HERE. Today I am going to focus a bit more on just the movement cards, since that is all the Sensei’s Path expansion is. 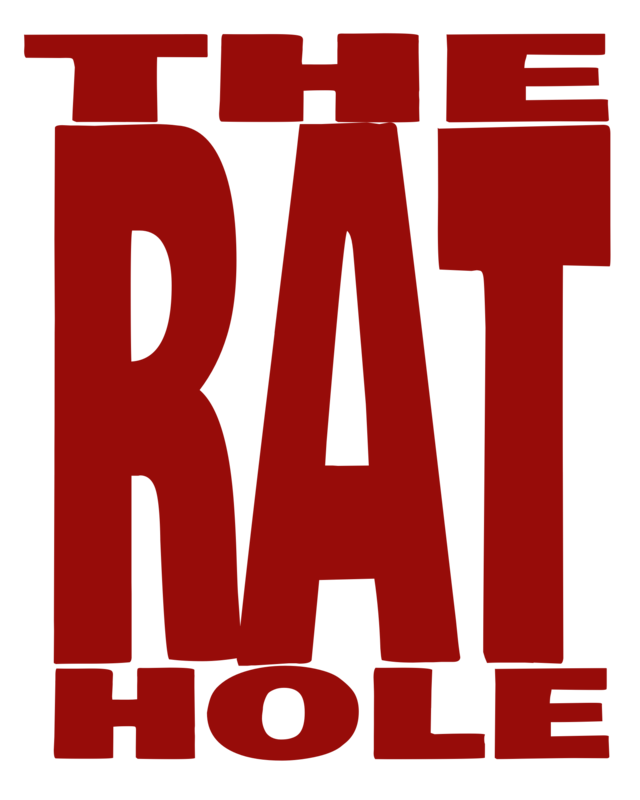 But for those who might not have time to read the original review, I’ll try to quickly summarize gameplay. 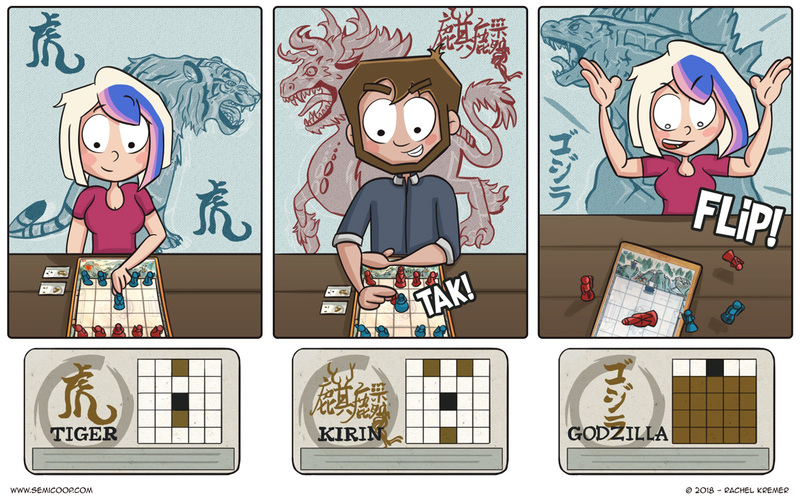 Onitama happens on a 5×5 grid, with each of the two players controlling four Student pawns and a single Master pawn. There are two ways to win, the Way of the Stone or of the Stream. To win in the Way of the Stone you must capture your opponents master, by moving one of your pieces into his space. To win in the Way of the Stream you must maneuver your own master across the board and onto your opponent’s temple space (located in the center space on either side). The movement cards in both versions are split into three categories. Cards that encourage movement to the right (red), cards that encourage movement to the left (blue), and cards with symmetrical movement options (green). The red and blue cards are mirror images of each other. For example, the Ox lets you move one space up, back, or right; the Horse lets you choose between up, back, or left. Green cards will occasionally mirror each other’s up/down movement, but always give equal options for left/right movement. The original 16 movement cards give a good variety of options. The Sensei’s Path expansion brings in another 16 possibilities, but with a slightly different balance. There are eight green cards and eight red/blue cards (four matching sets), in the original. Sensei’s Path only has four green cards and six sets of red/blue cards. That may not seem significant, but it does have the potential to drastically change how a game may play out. While statistically unlikely, it is possible to have a game with almost no movement towards one side of the board or the other. That isn’t specifically bad, or broken, it just adds another level of challenge to the game. Since both the original game and Sensei’s Path come with 16 movement cards, you can play with only one set or the other. Each set is marked, so you can also combine them and easily separate them again after. I sort of want to run a small tournament, with the first round being a best-of-3 using the original cards, the second round using only Sensei’s Path, and the final round being a best-of-5 mixing the two sets. Arcane Wonders made a very interesting choice in the packaging for Sensei’s Path. They put it in a miniature version of the magnetic flip box that makes the original game stand out on a shelf. Visually this makes sense. From a strictly brand recognition viewpoint this makes sense. From a cost standpoint, this makes no sense. It is an incredibly expensive box for just 16 cards, and I can only imagine how much impact it has on the retail price. I’m keeping mine to hopefully repurpose because it is so high quality, but the original box already has room for the new cards. I hate to think how many people just recycled this thing. 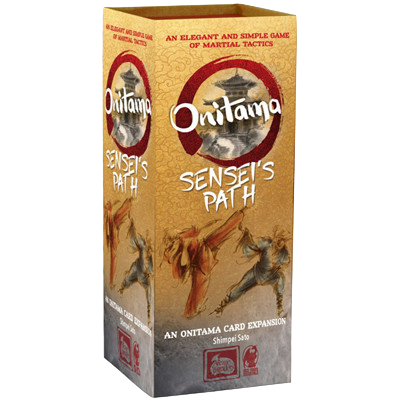 While it’s not as portable as some two-player games, Onitama is a fast and fun option for people who want a challenge without also needing a steep learning curve. Sensei’s Path adds to the already great replayability of the original, as well as giving players some extra challenge. I couldn’t not share this great comic from Semi Co-op. There isn’t really a Godzilla card, but there should be!